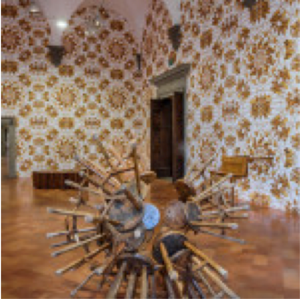 The Palazzo Strozzi in Florence is dedicating its latest major exhibition to one of the world’s most celebrated and influential contemporary artists, Ai Weiwei. 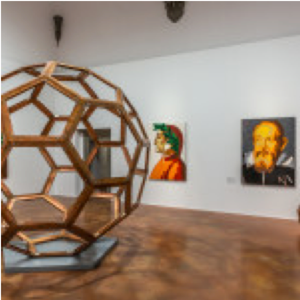 This showcasing of Italy’s first major retrospective of Weiwei's work with Libero, has been expertly curated by Arturo Galansino and includes both old and new works, thereby attracting a great deal of attention in the Italian and international media. 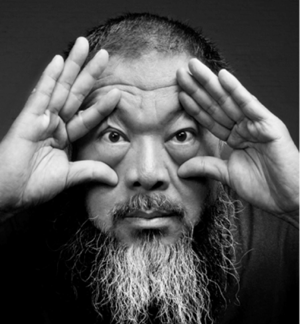 Born in Beijing in 1957, Weiwei has become a leading voice on the international art scene and China’s most famous living artist. He is also well known as a political activist and uses his creative genius to create works that encourage us to stop and think. 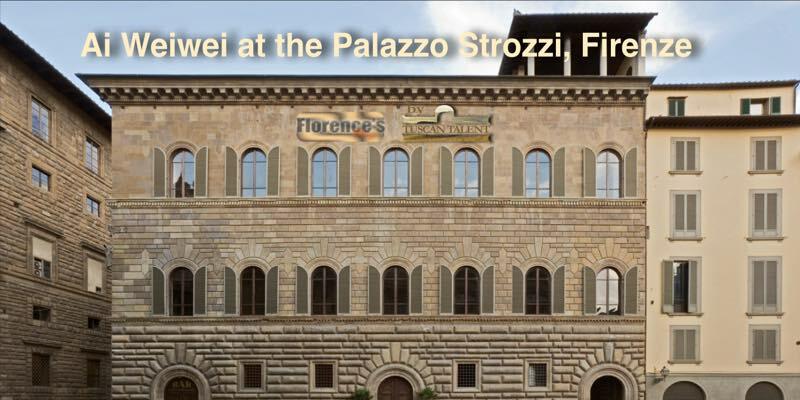 This is immediately evident when observing the Reframe installation (2016), which greets us as we approach the Renaissance building of the Strozzi. It consists of 22 orange rescue dinghies which, framing the windows of the Palazzo, demonstrate the artist’s commitment to bringing to the public’s attention the on-going plight of refugees. This is a humanitarian tragedy and the installation reminds us of those who set off for Europe’s shores, clinging on to fragile boats in what will be a perilous and often hopeless journey. The lightweight dinghies attached to the solid façade of the building behind equates with those refugees who having reached European shores, then have the difficult job of trying to fit into a new location and culture. 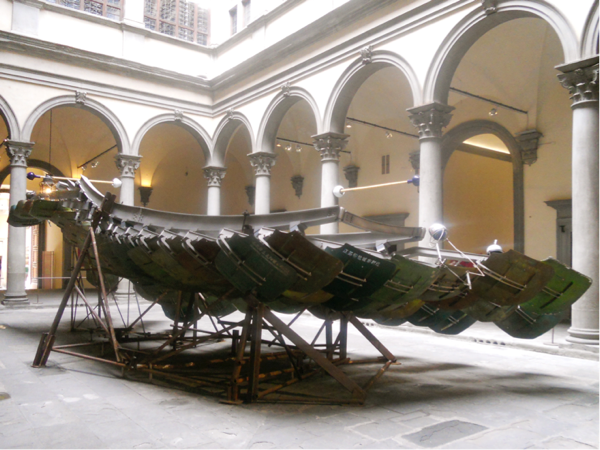 Set in the palazzo which was itself built as a political statement and is considered to embody the history of Florence, the installation also gives the city a major opportunity to use Art as a means of focusing attention on the current migrant issue. Weiwei has said that the migrant crisis resonated with his own family history; his father, the Chinese poet and activist Ai Qing, spent the first 20 years of his son’s life in labour camps. Moving into the palazzo’s spacious courtyard we are met with a huge and impressive five-ton art-work, Refraction, originally created for an exhibition on America’s San Francisco’s Alcatraz island. Formed into the shape of an enormous metal wing and based on the structure of a bird, the work consists of reflective solar panels, like those, which were originally used as solar cookers in Tibet. Here the artist is using the imagery of flight to evoke the tension between freedom and confinement. She also gave Wassily Kandinsky his first-ever London show, followed by an exhibition of contemporary sculpture featuring works of Henry Moore, Hans Arp, Brancusi, Alexander Calder and Anton Pevsner.The exhibition, for the first time uses the piano nobile and the Strozzina gallery, as well as the outside spaces, mirroring the artist’s relationship between tradition and modernity. 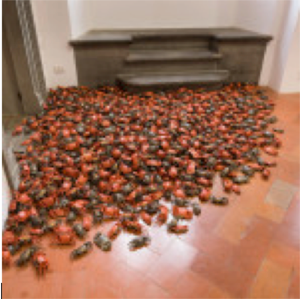 Weiwei uses traditional materials and techniques and plays with both the ancient and the contemporary in his manipulation of everyday objects, images and metaphor of the Chinese culture. He seems torn between a deep sense of his own national heritage and a strong sense of rebellion. This first installation is a wonderfully creative ensemble of bicycles, the most common form of transport in China. The main installations, sculptures and objects, as well as videos and photographs produced throughout his career are all on display. They start with the period from the ‘80s and '90s, where while working in New York he discovered and was inspired by Andy Warhol and Marcel Duchamp and move on to the large iconic ensembles from the early 2000s comprising of objects such as bicycles and stools. There are also more recent works, which include his projects on migration in the Mediterranean, and many commissions such as that for a series of portraits of political dissidents built with Lego bricks. Ai Weiwei is a free thinker and has been called a latter-day Renaissance man, an artist who, using different artistic genres ranging from architecture, the cinema and photography to poetry, sculpture and painting, can turn an object, such as a rubber dinghy into the heart-rending cry of mankind. 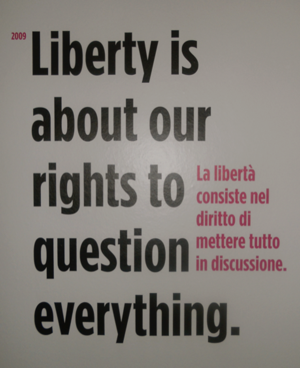 He has become a symbol of resistance against censorship, a fact that doesn’t go down very well in his native country. In 2009, the authorities shut down his personal blog totalling 17 million viewers. In 2011 he was arrested and secretly detained for 81 days. His passport was confiscated for the following four years, during which time he was banned from travelling abroad. However, he remained seemingly earless of these constraints and continued with his artistic creations and growing worldwide reputation. In 2008, he co-designed Beijing's ‘Bird’s Nest’ national stadium with Swiss architects Herzog & de Meuron and in 2010 he covered the floor of the Turbine Hall, Tate Modern, London, with 100 million porcelain sunflower seeds. He soon became one of the most active and popular artists on social media, which he uses as a tool for sharing his artistic and political ideas. The amount of time and effort, especially from local art students that has gone in to installing this exhibition is impressive. I particularly liked the beautiful prints on the wallpaper, which covers the walls from top to bottom. Weiwei had his passport returned in July 2015 and has since visited more than 20 camps all over Africa, Europe and the Middle East, documenting migrants’ struggles. He was awarded the Vaclav Havel Prize for Creative Dissent in 2012 and last year, Amnesty International awarded him the Ambassador of Conscience Award. 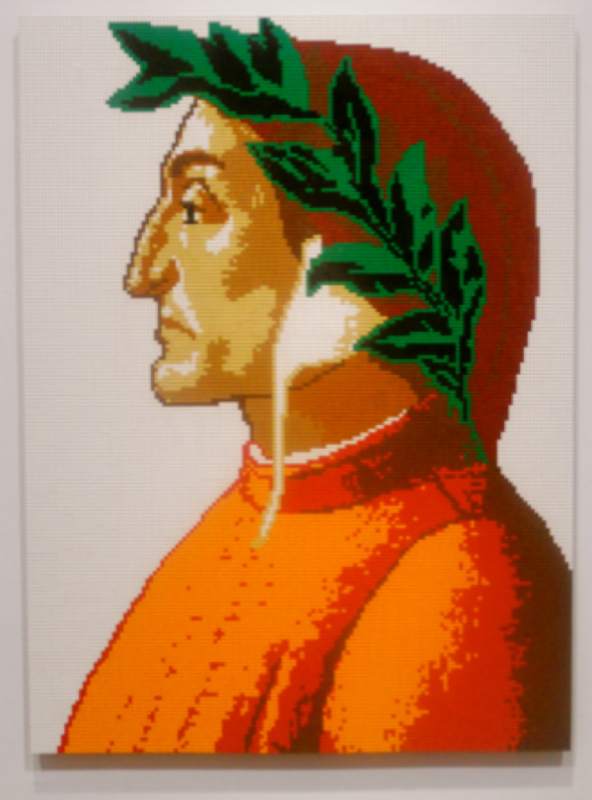 This is the first time since the his detention that he has been able to work with freedom in another country and his choice of Italy is significant, since it is the country that gave rise to political art, from Imperial Rome to the dogmatic Renaissance. I think artworks need to be challenged by very different human conditions; that’s an interesting part of our work. We are living in a very complex society. It puts me in a complex frame of thinking.